From its opening montage of various celebrities professing their love for Tommy Wiseau’s The Room onward, James Franco’s The Disaster Artist establishes itself as a love letter to The Room. Considered by some to be the “worst movie ever,” and by others to be the “best worst movie ever,” The Room is a modern cult classic that, despite its initial critical backlash, has since attracted a passionate fandom revolving around the celebration of and indulgence in the film’s countless imperfections. Based on the autobiographical book by the same name, The Disaster Artist pulls back the curtains on The Room’s bizarre production to further indulge the film’s eccentric flaws, without ever questioning the perverted morality behind this indulgence. “I held off for as long as possible to watch The Room. 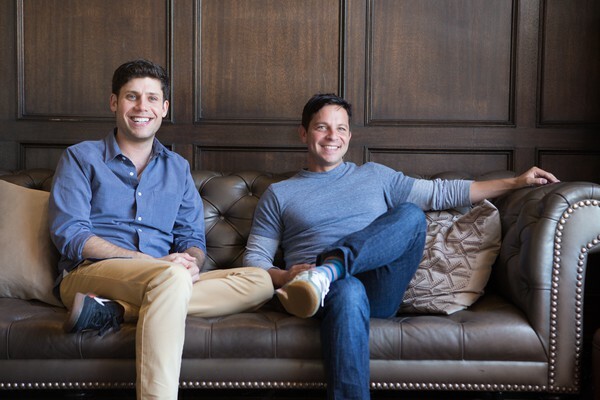 In fact, I only saw it after finishing the first draft of the film,” said screenwriter Michael H. Weber, who was joined by his writing partner Scott Neustadter at a roundtable in Chicago last Friday. Weber and Neustadter were approached for the project by James Franco and Seth Rogen, who plays the script supervisor in the film. By focusing on the friendship between Wiseau and Sestero, The Disaster Artist finds its strength and universality. At the end of the film, there is a shot-for-shot comparison between scenes from The Room and recreations of those same scenes for The Disaster Artist. It was upon watching those imperfect parallels that I realized the film was not some sort of Disney live-action remake of The Room. Rather, the film prioritized a cogent, emotional thread above representational accuracy. As a result, the film is more of a drama than a comedy, despite the ridonkulousness of the events it portrays. Perhaps one of the most affective scenes in the film is of Wiseau and Sestero pinky promising to push each other to follow their dreams, a gesture that is as childish and idealist as the character of Wiseau himself. 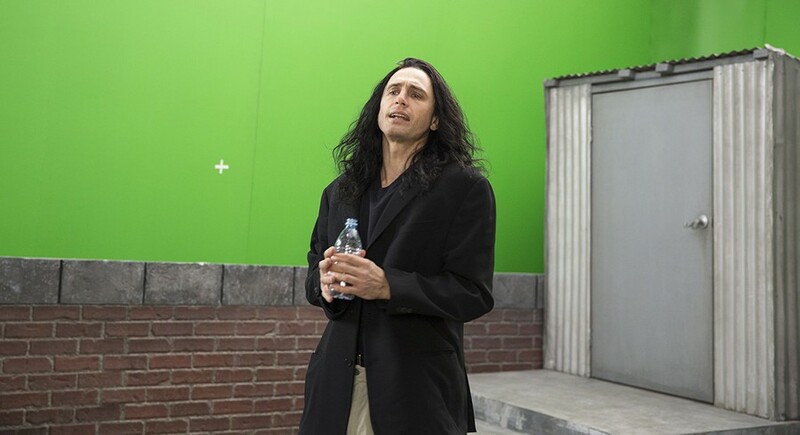 In true Wiseau fashion, James Franco directs and stars in The Disaster Artist as Wiseau. Honestly, Franco kills it. Not only does he masterfully execute Wiseau’s eccentric speech patterns and mannerisms, but he also grounds his character in realism through the interplay of his deep-seated insecurities as a failed actor and his natural bravado for being a showman. Nowhere is this more poignant than in his encounter with Judd Apatow at a restaurant. Attempting to impress the famed comedy director with Shakespeare monologues, Wiseau is brutally shot down by Apatow who proclaims that he’ll never make it, “not in a million years.” To this, Wiseau softly responds, “But after that?” According to Neustadter and Weber, the line was entirely improvised by Franco. It is a touching scene that conflates Wiseau’s ego and later turns him into a maniacal, self-doubting control freak on set. He is granted an affecting tenderness that does not condone his later behavior, but rather contextualizes it. Yet despite Franco’s masterful portrayal of Wiseau, the film rushes through Wiseau’s embrace of the ironic response to his film, prompting critical questions regarding Wiseau’s commitment to his dream. During the climax of the film, Wiseau steps out of his grand premiere, disillusioned by the audience laughing at his Tennessee Williams-inspired drama. Sestero follows him, convincing him that the audience’s reaction is based out of love for the film. Finally feeling like a real Hollywood star, Wiseau gives a speech in which he professes that The Room was intended as a comedy, a statement that is as unsettling as it is hypocritical. The film then depicts Wiseau enjoying himself at subsequent screenings of The Room, suggesting that Wiseau’s egoism for attention has trumped his commitment to his creative vision. When The Disaster Artist spends so much time heavily emphasizing this vision, its denouement comes off as emotionally conflicting and overly simplistic. Has Wiseau really been lying to himself for the past 14 years regarding the intentionality of The Room? If so, does this mean Wiseau’s true ambitions are as superficial as living for the applause? Having painted The Room as a triumph of undying determinism, these final scenes in The Disaster Artist illustrate The Room as an example of the predominance of fame and success over artistic integrity. Nevertheless, the film never questions the dark humor inherent in the love for The Room. While is it clear that The Room thrives thanks to a loving, enthusiastic fan base, it is unclear whether this love is based on anything other than complete mockery of the film or whether there exists some semblance of respect for the film’s artistic merit. Focusing on the production of the film rather than its reception, The Disaster Artist unfortunately never explores The Room’s status as a cult classic. Instead, the film is driven solely by optimism, offering a compelling and inspiring journey throughout that at the end falters into an idealistic fairytale for coping with failure and disappointment. As a result, The Disaster Artist feels largely incomplete and paradoxical with Wiseau, despite the film’s many attempts at developing and humanizing his character, ending the film as he started it: a clown. Rated R, The Disaster Artist is currently in limited release, and will be opening in theaters nationwide December 8.